Some quick advice: jot down Amarillo Wrecker Service’s number — (806) 666-6965 — and place it in your glove compartment (or put in your phone’s contact list). This way if you’re ever in need of a 24-hour towing service, you’ll have the peace of mind of knowing that a simple phone call will get you the help you need promptly. Our 24-hour towing services in Panhandle TX 79068 are available any hour, any day, anywhere in the Texas Panhandle area. We have the right professionals, the right experience, and the right equipment to get you out of any urgent situation you may be in. We’ll get you and your vehicle back on the road or home as quickly as possible. 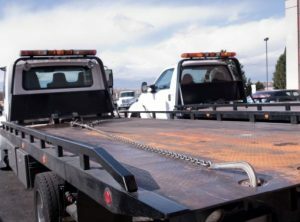 Each of the 24-hour towing service professionals on staff at Amarillo Wrecker Service is highly skilled and trained to handle any towing and recovery service you may need, including heavy-duty towing. A 24-hour towing service isn’t a service you want an amateur to perform, rather, you need a pro. Our team is dedicated and exceptionally skilled to handle any 24-hour towing contingency including roadside assistance, jump starts, tire changes, if you ran out of gas, and vehicle transport to anywhere in the Panhandle area. Our 24 hours a day, seven days a week availability will put your mind at ease. We are Amarillo Wrecker Service, your 24-hour towing service company in the Panhandle area. Our professional 24-hour towing service technicians are standing by, anytime, to help get you and your vehicle back on the road or back home. So call us now at (806) 666-6965 and we’ll come to your rescue. Chances that your car might all of a sudden break down at midnight in an incredibly remote location are very odd. And even though they seldom happen, they do take place from time to time, generally at the oddest time when you are least likely to find a solution. Most car owners and drivers in Panhandle will have basic insurance coverage, and a trusted mechanic for servicing their cars but overlook tow services. 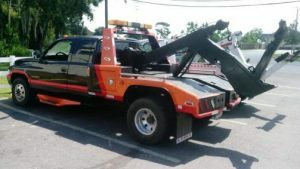 Towing service is something that most car owners and drivers will either disregard or forget to take into consideration when they purchase a car but they should. However, finding a tow company that offers excellent round-the-clock service is extremely essential as you are mentally prepared and can have assurance regardless of the situation. Due to the fact that automobiles often break down when we least expect it, companies that offer 24-hour towing services are the most ideal. An emergency scenario might — God forbid — come your way, and there is nothing worse than being unprepared for it. Having 24-hour towing service is not only tactical, but it also offers situational relief. Because you know that the towing service is readily available throughout, you can easily enjoy your journeys without needing to fret about getting stranded. Nowadays, most tow companies utilize automated locator services which means they can find you very quickly. You do not need to fret about your car getting damaged during a tow. Most tow companies have well-informed staff/mechanics who know what they are doing and how to correctly utilize the equipment without causing more damage to your car. They can advise you on the problem and its solution. In case your car is too damaged, some tow companies in Panhandle go a step further and do more than just tow. They’ll provide you with storage facilities for your damaged car. While this might be an additional expense that you will incur, at least you are sure it is safe. Some tow companies go above and beyond the round-the-clock towing service in Panhandle TX to offer you additional services. Since they are well equipped and in a position to go above and beyond, popular tow companies also run a diagnostic check on your car to ensure that you — as well as — other road users are safe. This guarantees that you always remain loyal to them. Every so often, things happen so quickly, and we may not know the best ways to manage them. Accidents, fuel outs, or lockouts are examples of such circumstances.